Subscribers can update or correct the details fed into their existing PAN (Permanent Account Number) card through Unified Mobile Application for New-age Governance (Umang) app. PAN, which is a 10-character alphanumeric number, is issued in form of a laminated card by the Income Tax Department. PAN is required for financial transactions like opening a bank account and filing income tax returns (ITR). Umang app also allows subscribers to access PAN card-related services like locating PAN card nearest centres, making PAN card payments, among others. Step 1: Download the Umang application from play store. Step 2: Open the app and login using your mobile number. Now, click on ‘My PAN’. Step 3: You will be directed to a page which shows various PAN card-related services. 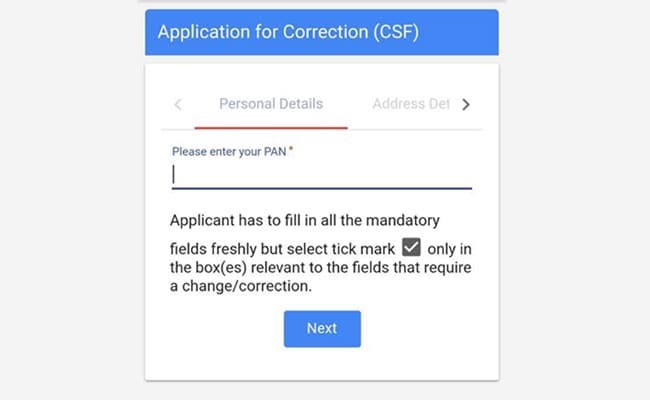 Click on “Correction/Change in PAN card CSF”. CSF form is a PAN Card correction form that is submitted for the purpose of rectifying the error. Step 4: A new page displays which reads ‘Application for correction (CSF)’. Enter your PAN number and click on ‘next’. Step 5: Now, fill your details in the form. Also, fill in the correction details. Click on submit. Step 6: At this stage, you are required to make the payment and submit. Step 7: Form along with supporting documents can then be submitted at any of the National Securities Depository Limited (NSDL) TIN-facilitation centre or PAN centre. TIN or Tax Information Network is an Income Tax Department initiative aimed at modernization of the current system for collection, processing, monitoring and accounting of direct taxes using information technology. Once the information are verified, the new PAN card with the updated information are sent to the applicant’s residence. Subscribers can also track the movement using the ‘Pan Query’ option on My PAN. 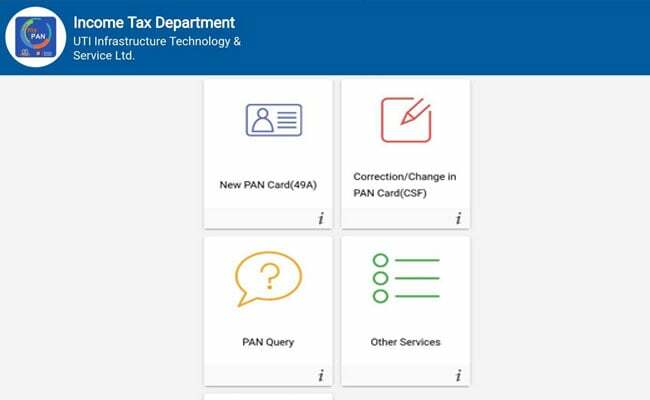 For offline mode, subscribers can download the correction form using ‘Pan Query’ and submit it at the nearest PAN centre along with the required documents.